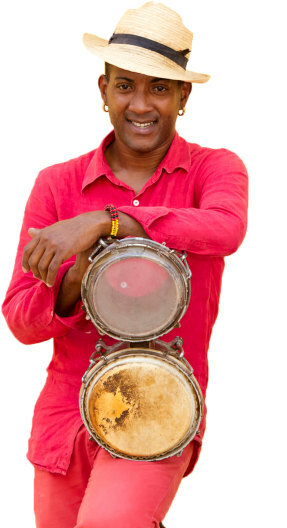 Junk Funk is a trio of street drummers brining some high energy jams to your event! Flip over some trash cans and buckets, grab those old pots and pans, and start banging away! No wait, stop! That doesn’t sound so good... you’re just making a ruckus. Guess it’s not as easy it looks to turn that noise into music. You gave it your best shot, but now it’s time to hire the professionals to do the entertaining for you. Whether you want a group that uses these household items or one that uses real percussion instruments, a drum or percussion show is a great way add some funky beats to your special event. Search for Drum / Percussion Shows in Cedar Falls, Iowa above. Please note that these Drum / Percussion Shows may also travel to Janesville, Dike, Evansdale, Hudson, New Hartford, Elk Run Heights, Denver, Dewar, Raymond, Stout, Gilbertville, Shell Rock, Waverly, Dunkerton, Reinbeck, Parkersburg, Readlyn, Morrison, La Porte City, Buckingham, Holland, Grundy Center, Tripoli, Clarksville, Lincoln, Oran, Allison, Mount Auburn, and Beaman.